In this section you will find numerous links to other websites, all offering further information. Our local parish church. As a Church of England (by usage) school, our links with the church are extremely important. We are very fortunate to be able to welcome Reverend. Duncan Ballard to regularly join us in school for our Harvest, Christmas, Easter and other services, as well as visiting him at the church. Click on the following link for more details; St Mary & St Bartholomews Church. George Fentham was born in 1630 in Hampton-in-Arden. He drew up his last Will and Testament in 1690, the year of his death. In it he specified that he wished certain categories of persons “in the place of my nativity” (the manor of Hampton-In-Arden) to benefit from his personal estate. He left money to “relieve and comfort the honest, deserving and industrious poor”, but not “the idle and vitious”. He provided for an annual sum of £30 to be spent in Hampton-In- Arden £20 to pay a Schoolmaster, £5 for the relief of the poor and £5 for setting out an apprentice. The £20 was to be paid to “such a person as shall be appointed to and lawfully teach School in Hampton-In-Arden, to male children of the inhabitants of the Parish and especially of the poorer sort”. For over three hundred years the Trustees have managed and invested his legacy which has supported many worthwhile projects within the area of benefit and has perpetuated the name of George Fentham. To find out more, visit the official Fentham Trust website. The Parent Teacher Association (PTA) are an integral part of fundraising for the school, organising numerous events aimed at involving parents, children and teachers in fun activities that raise money for resources for the school. These include; Discos, Treasure Hunts, Race Nights and the traditional Christmas Fayre. ​This is a 24-place preschool, based in the village of Hampton in Arden, Solihull. The pre-school is a charity-run (not for profit) organisation providing care and education for children aged between 2 and 5 years. The preschool has been used by families of Hampton in Arden and surrounding villages for more than 30 years and Ofsted registered since 1993.They provide a great transition to George Fentham Nursery and Primary school, with 90% of children moving there if they have reached the age of three by September 1st. 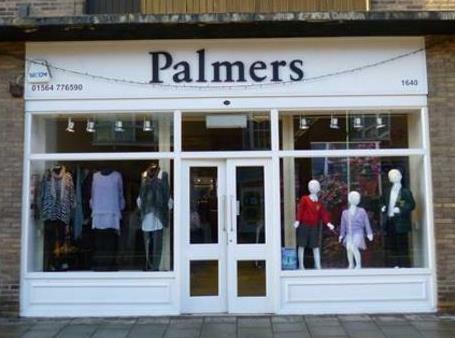 George Fentham Endowed School uniform can now only be bought from Palmers of Knowle. Please contact them directly, or go in and see them, to order school uniform. We have good links with the local sports clubs, with their coaches providing Hockey, Basketball/Netball and Tennis coaching at school, as well as our classes going down and using their facilities. For Tennis, click here to go to their website. For Squash, click here to go to their website. For Hockey, click here to go to their website. Located just across the road from the school, the library provides a great service for all of the villagers. The children of George Fentham School always look forward to the Summer reading challenge. This year it was the Circus Stars Challenge, with a record number of children completing the challenge of reading 6 books over the summer holiday. Many thanks to the Library ladies for their hard work. For more information click on the following link; Hampton Library. Heart of England, Arden, Solihull School and the King Edwards Grammar schools.